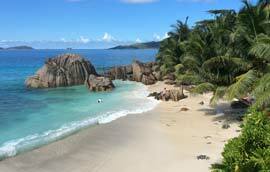 We offer a full package set-up for a Seychelles brokerage Forex license. We will assist you every step of the way to ensure your confidence and trust. Our full package offered includes all mandatory requirements needed for a successful registration and renewal as well as for ongoing compliance with Seychelles forex broker license from the Seychelles Financial Services Authority (FSA). Financial Authorities worldwide are trying to impose strict rules and increase entry barriers (such as enormous capital requirements), trying to dissuade small & medium-sized companies from this business area. One of the solutions we offer is Seychelles Foreign Exchange (FX) License. It is a relatively new product, but it already gained acceptance and popularity from many FX firms, offering Foreign Exchange services to their customers worldwide. • NO LIMITATIONS ON CLIENTS YOU CAN ACCEPT, PROVIDED THEY ARE NEITHER SEYCHELLES CITIZENS OR RESIDENTS, BECAUSE OF THE FOREX COMPANY'S TAX-FREE ZONE STATUS. • THERE ARE NOT ANY RESTRICTIONS ON PUBLIC SOLICITATIONS AND WEB SITES, PROVIDED THEY ARE NOT BEING ADDRESSED TO SEYCHELLES'S CITIZENS OR RESIDENTS, BECAUSE OTHERWISE THEY SHOULD BE LOOSING BENEFIT OF THEIR % TAX & % VAT STATUS.